Stress does a number on all parts of your body, including your teeth. Between the potential of you clenching or grinding your teeth, and the increased acidity of your mouth when you get stressed out, your teeth can get weaker or hurt by stress. If you want to cut down on your stress, you may want to consider daily meditation. It can help keep your blood pressure down, help you remain relaxed, and help protect your oral health. Daily meditation doesn't mean you have to spend all day meditating to get a benefit. Taking even just five minutes per day and dedicating it to meditating can make a significant difference. A lot of people meditate without even realizing they are doing it. Taking a two-minute elevator ride where you take a few extra deep breaths can help you. Saying daily affirmations to yourself can also help. You can decide the best form of meditation for you. Taking even a few minutes per day can reduce the effects you feel when it comes to stress. This can reduce how much you unconsciously grind or clench your teeth at night, and even how off your mouth's pH level is each day. Don't think you need to spend hours cross-legged on the floor just to get the benefits. A small bit of time can make a large difference. If you are under a lot of stress, make sure your dentist knows this at your next appointment. 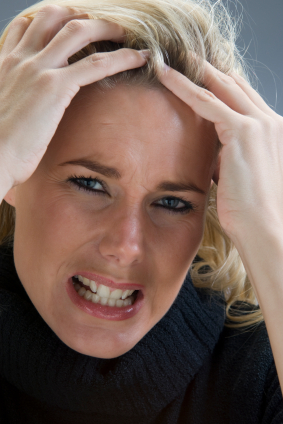 The teeth of people who face a lot of regular stress often show the effects. Let them keep a close eye on your teeth so that anything that is damaging can be corrected sooner, rather than later. Keep your dentist in the loop so that you can have healthy teeth that last you a really long time.